Did a global flood cause a major extinction of flora and fauna and wipe out mankind's achievements and memories of a Golden Age 11,500 years ago? It is difficult for natural historians to overlook that the Great Deluge story of a global flood is a real event; they have amassed much forensic data in modern times to support such a story. The paradigm for this legendary disaster was thought to be an act of God and a metaphor for mankind disobeying God. This belief or paradigm is being greatly eroded by the study of natural causes being the culprit. The collection of unconnected flood stories from many worldwide cultures is now making this a real event in the minds of many natural historians. In recent times, serious attempts were made by several non-consensus-type scientists to convince the public that the Great Deluge really happened. Some of these books and their authors had an important impact on my personal strong belief that the flood really did occur. These books are In the Beginning - Compelling Evidence for Creation and the Flood by Walt Brown; and Cataclysm! - Compelling Evidence of a Cosmic Catastrophe in 9500 BC by D.S.Allan and J.B.Delair. My causes for the Flood were comparable in many ways but very different in other important ways. This paper's storyline accepts a close encounter with a celestial intruder that magnetically and gravitationally shifts the Earth's mantle and crust by 20 to 30 degrees latitudinally. This shifting changes the shape of the geoid about the spin axis and through needed adjustments causes increased volcanism, earthquakes, ocean rifts to open, and some edges of tectonic plates to either quickly rise or sink. These affects in turn cause: the atmosphere to be severely polluted, drastic global cooling, melting and splitting of the northern Laurentide polar ice sheet, and other calamities. The final calamity was the breaking, sliding, and calving of the East Antarctica ice sheet into the ocean. 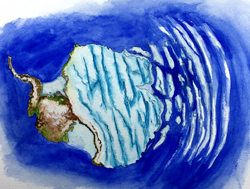 This effect of the polar ice cap including the accelerated melting of the northern Laurentide ice sheet caused the oceans to swell and rise about 290 feet above its antediluvian level. The opening of some ocean rifts caused the release of pressurized supercritical water stored in chambers under the oceanic crusts. This water was ejected high into the atmosphere and then fell as a mixture of muck, water, sleet and hail which caused the reputed 40 days and nights of continuous precipitation. The aftermath resulted almost in total destruction of mankind's existing infrastructure and well advanced civilizations. 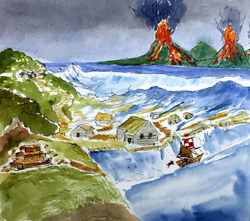 The continuing polluted atmosphere, slowly retreating sea level, colder climate, and fouled land surfaces drove the survivors into a Stone Age existence that occurred from 11,500 years BP going forward. The paradigm of mankind evolving from that Stone Age period onward into more progressively advanced civilizations is seriously challenged. The survival of many stone megalith complexes around the world begs the question that man had advanced civilizations prior to the time of the Great Deluge. 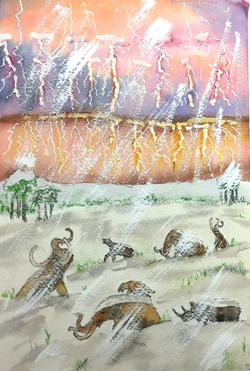 The Great Deluge answers the question of a large extinction event of fauna and flora, but also the disappearance of ancient civilizations going back much further than 4000 or 6000 BC, which is still the consensus thinking for the beginning of civilized man. Support for the celestial intruder, an electrical and magnetic brown dwarf star, comes from the concepts of the Electric Universe (EU), a group of independent scientists led by Wallace Thornhill and David Talbott who authored The Electric Universe and Thunderbolts of the Gods. Their ideas steer away from the electrically neutral, gravity-driven universe. Their beliefs and research lead toward an electrical-magnetic universe that not only provides stability for our Sun and its planetary system, but also gives causes for infrequent catastrophism when the two star systems of the Sun and a brown dwarf, called Nemesis, clash. 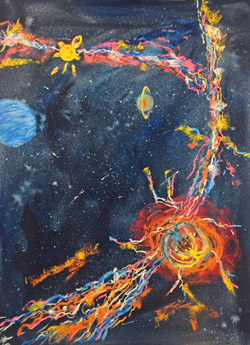 Charge separation and charged celestial bodies can create violent high-energy arc discharging between bodies. The evidence of these arc discharging events that caused Earth's Great Deluge are readily seen on the surfaces of most solar system planets and moons. 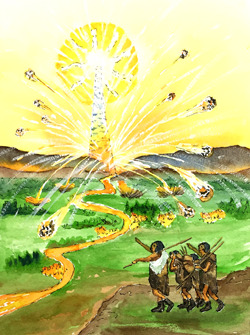 In the Thunderbolts of the Gods, the claim is made that man has witnessed such events and recorded them in rock art, friezes carved on the walls of megalith temples, and in written and verbal traditions. These witnessed events are catalogued by David Talbott as archetypes of the ancient sky which are plasma displays on an interplanetary scale. Most times, as the Nemesis star system crossed into the Sun's planetary system, ancient mankind was lucky enough to witness arc discharges and other electrical plasma displays without Earth being harmed. The paper "A Brief History of Mankind's Chaotic Past", explains the nature of a very plausible sister star of the Sun which orbits about every 3600 years. This brown dwarf star, called Nemesis by this paper, creates chaos of various degrees between itself and the planets of both stars. The orbit is highly inclined and very eccentric and narrow whose trajectory is most of the time well outside the orbit of Pluto and the Kuiper Belt. NASA's failed search for this planet or star is explained; their focus is not on the suspected region just outside the Kuiper Belt. NASA still has the paradigm of a star orbits in millions of years and wrestles with the imagined Oort cloud of comets that is one to two light years distant. Cyclic occurrences on Earth are examined for the past 20,000 years to confirm Nemesis's orbital period of 3600 years. 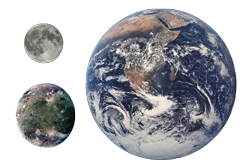 One of the well proven datum points is its close encounter with Earth 11,500 years BP. Thousands of other crossings of the two planetary systems are proven by NASA's photography from space probes and advanced space telescopes depicting electrical/magnetic (EM) interactions and, to a lesser extent, collisions that have disrupted surfaces, causing the continuance of planetary rings, asteroids/comets, possibly all the irregular shaped satellites, and the Main Belt of asteroids. These stated phenomena should have withered away millions of years ago unless there are some repeated disturbances. 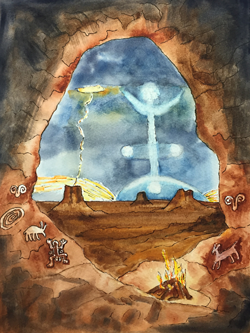 Further confirmation is made by the Electric Universe scientists who have reported about the symbols of an ancient sky represented in art for thousands of years. These symbols or archetypes are catalogued by David Talbott and recognized to be like typical glowing plasma configurations created in science laboratories. The electrical/magnetic interactions in the lab are hypothesized to be scalable with interactions of electrically charged celestial bodies in space. Consensus science has an extremely difficult time overcoming the paradigm that magnetic fields, currents, and charge separation occur in the vacuum of space. More data is being collected by space probes to prove that plasma in the dark mode, the solar wind, does affect all the planets. Recently, the Juno mission to Jupiter discovered that Jupiter, itself, supplies most of the electrical energy to create Jupiter's polar auroras. The solar and Nemesis systems are electrical networks with their stars being charged anodes and the planets being negatively charged cathodes. The implication is that electrical currents go between celestial bodies and sometimes very violently with plasma arc discharges that create a sputtering of materials into space as is now recently witnessed from space probes observing comets up close. Another paper, "Electron Asymmetry", tries to answer how charge separation and double layer currents in space are possible as hypothesized by the Electric Universe. "Electron Asymmetry's" main thesis is that there is an asymmetry of charge, or more electrons than protons, in the universe. This model leads to solving many mysteries about gravity, including its own manifestation. The enigma of why the rocky comets' measured gravity leads to densities almost half that of rocky materials, unlike normal asteroids. The answer is that as comets approach the Sun, the higher density solar wind sparges, or removes, excess electrons from the comet. Another mystery is solved by hypothesizing that gravity is not perfectly constant on celestial bodies that exchange charge strength on close encounters; this is why the megafauna-type dinosaurs could roam the Earth's surface. Millions of years ago, Earth's gravity was much less due to fewer excess electrons. Numerous other mysteries or "cannot be explained" phenomena will be addressed. And Einstein's Unified Force Theory is possibly resolved in that all the longer range forces of the universe have the same force carrier, the photon.